Social Networking Sites : like Facebook, twitter, YouTube etc . 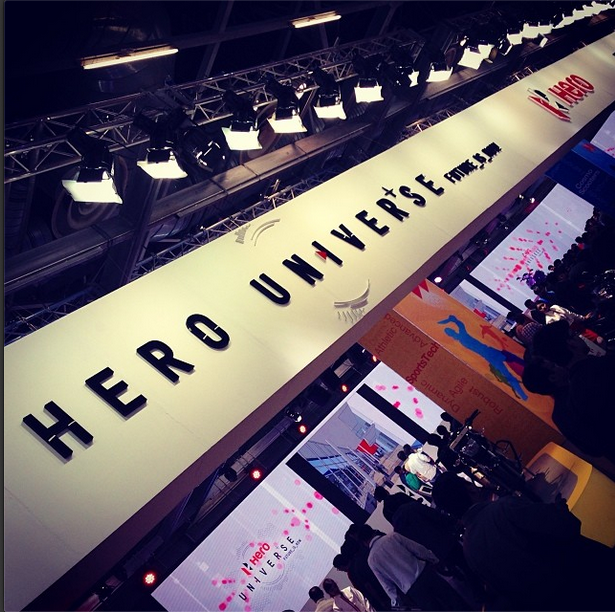 Event Organizing : organized stunting, prototype show case and launch etc. 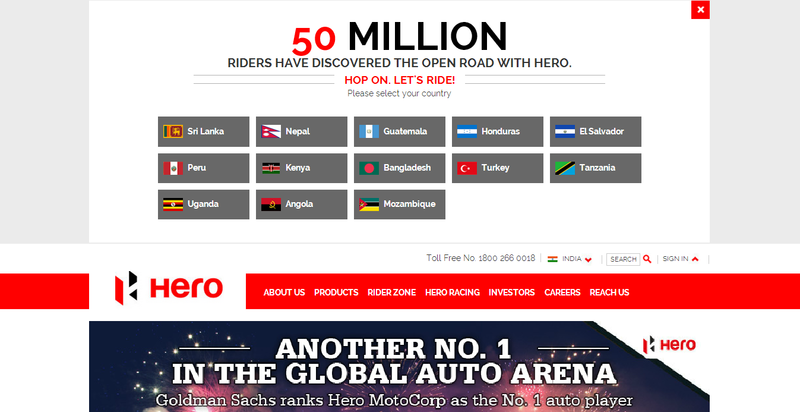 There are 13 other countries that Hero Moto Corp. exports it’s two-wheeler to . The South-East Asian countries include Sri Lanka, Nepal, Bangladesh, Kenya, Peru, Uganda etc. It’s also on the list of The Elite Forbes 2000 List. It taps a huge Asian market including 49.5% of Indian two-wheeler Industry and is the largest producer of two-wheeler in the world. 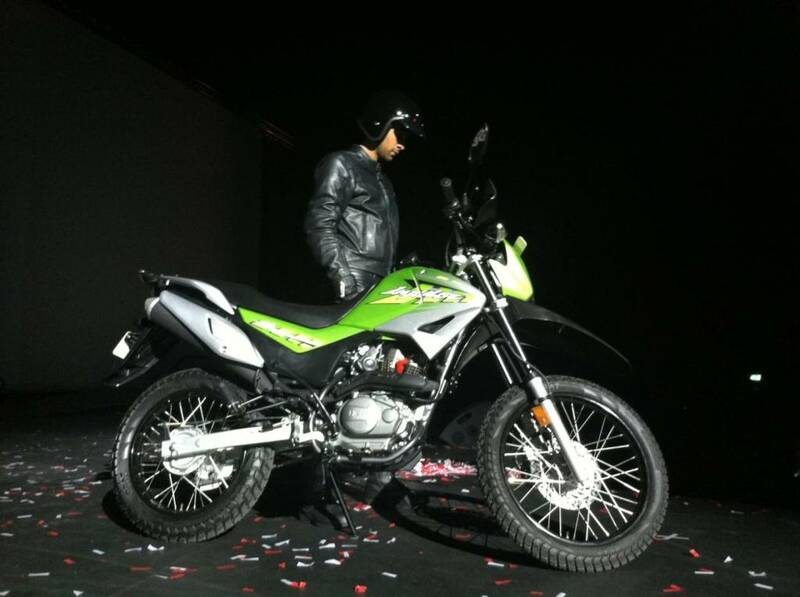 Scooter segment accounted for 25.3% of the two-wheeler market in Apr ’14: Led by new launches from Honda (New Activa), Hero (Maestro), and TVS (Jupiter), the scooter segment grew at a faster clip of 26.1% YoY for Apr’14 against a 8.1% growth in the motorcycle segment. The faster volume growth of the scooter segment led to a 290bps improvement to 25.3% in its share of the two-wheeler market. The main drivers for this growth are (a) growing acceptability of gearless scooters, particularly by women, (b) rising urbanization and increasing proportion of working women and (c) new launches. We expect 13-15% CAGR in scooter volumes for the next three years. 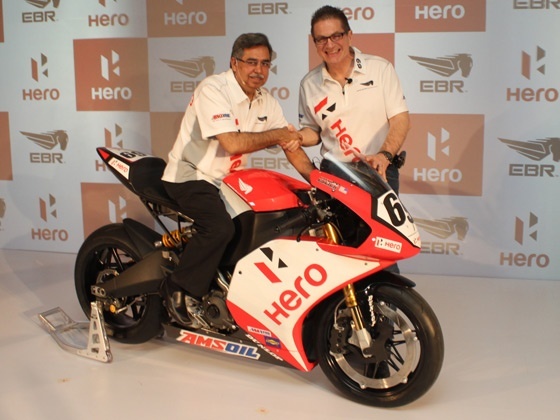 TVS Motor Company (TVS) gains 253bps market share in the scooter segment: Led by the success of its new offering ‘Jupiter’, TVS reported growth of 55.2% YoY for Apr’14, thereby, gaining market share to the tune of 250bps to 13.5%. 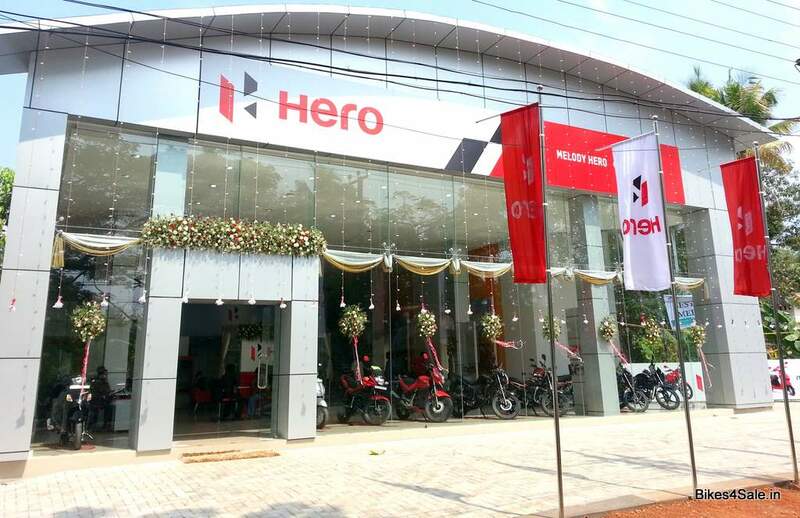 Motorcycle sales growth at 8.1% YoY: Led by new launches, both, Hero Motocorp (HMCL) and Honda Motorcycle and Scooter India (HMSI) reported a growth of 13-14%. Bajaj Auto ‘s (BJA) decline of 16.5% YoY led to an overall drag on the volumes. 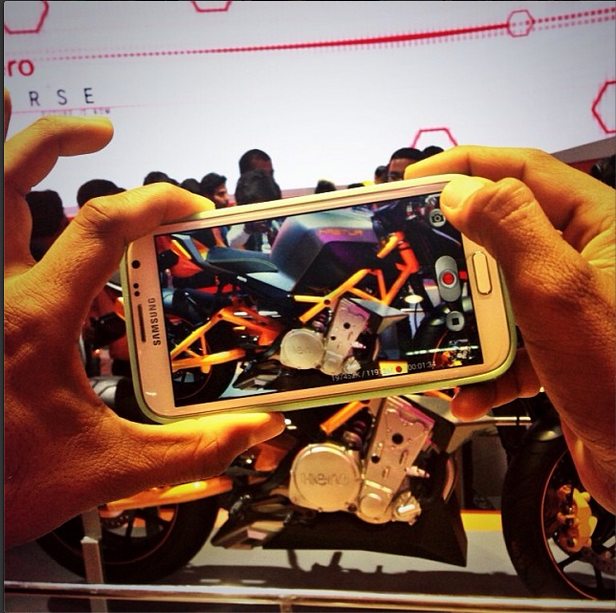 Hence, the overall growth for the motorcycle segment was restricted at 8.1% YoY for the month of Apr’14. 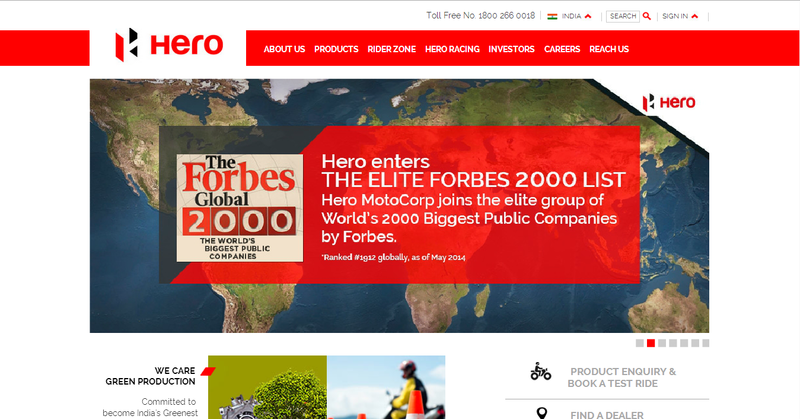 Hero Moto Corp Ltd (HMCL) gains 309bps market share at the cost of 538bps market share loss of BJA in the motorcycle segment: Driven by new launches and wedding season, HMCL reported 14.6% YoY growth, thereby, leading to a 310bps market share gain to 54.4% in Apr’14. BJA reported a decline of 16.5%, thereby, losing market share to the tune of 538bps to 18.3% for the month. 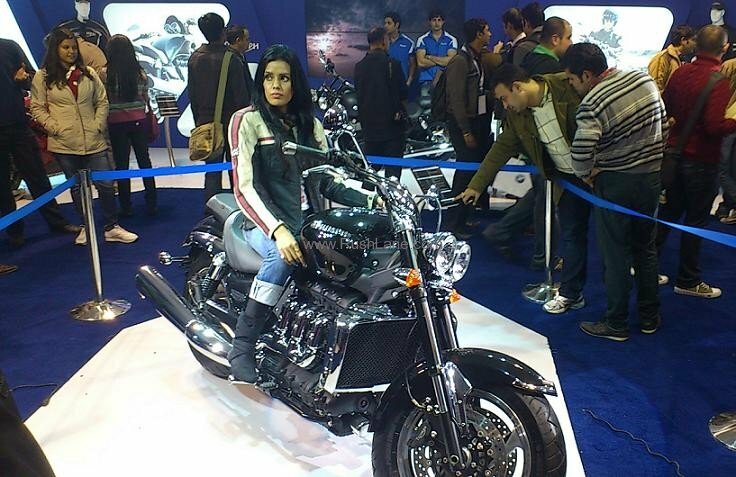 At the same time, HMSI and Royal Enfield reported a 13.7% and 87.4% YoY increase respectively for Apr’14. 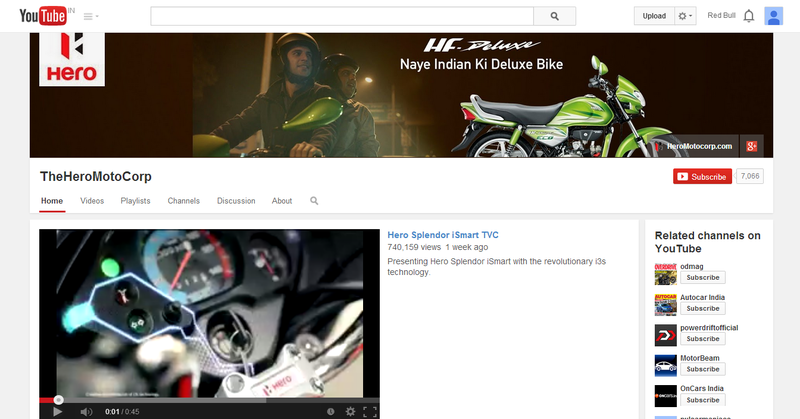 Our channel checks suggest strong traction for HMCL products, both in scooters as well as motorcycle segments. 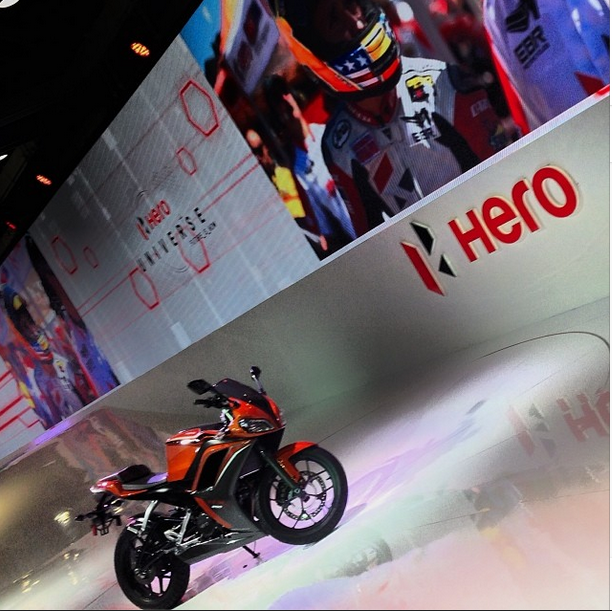 Also, HMSI has not been able to make a dent in the traditionally strong market for Hero (mainly the northern market). BJA concedes 262bps and 567bps market share in both key segments i.e. 110-125cc as well as 125-150cc segment, respectively: On account of lower sales of ‘Discover’ and ‘Platina’, BJA’s volumes declined by 9.2% YoY in the 110-125cc segment as against 9.0% YoY growth in the segment. This led to 262bps loss in market share to 13.2% for the month. On the other hand, HMCL gained 260bps in this segment, given the strong demand for HMCL’s ‘Ignitor’ and ‘Super Splendor’; and HMSI gained 290bps. 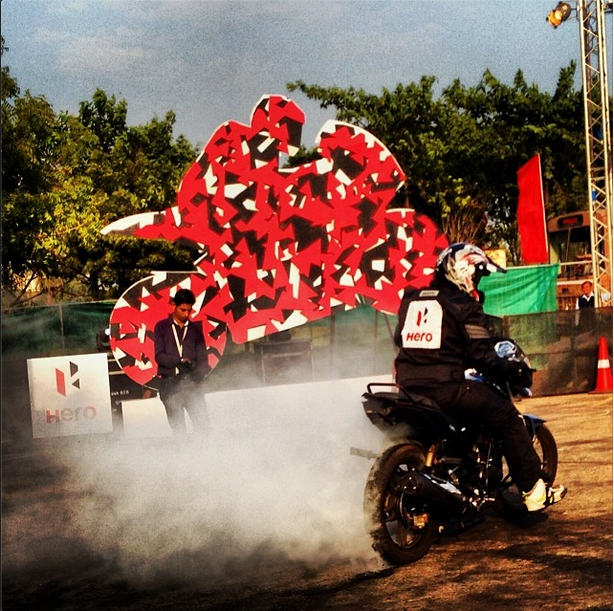 BJA continues to face the heat from competition in the 125-150cc segment. HMCL gained ~600bps in market share on account of new launches. 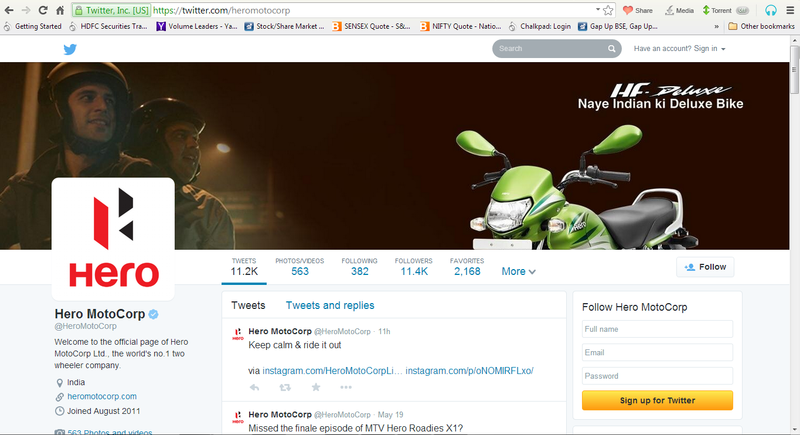 HMCL’s gain was Bajaj Auto’s loss (570bps decline in market share). 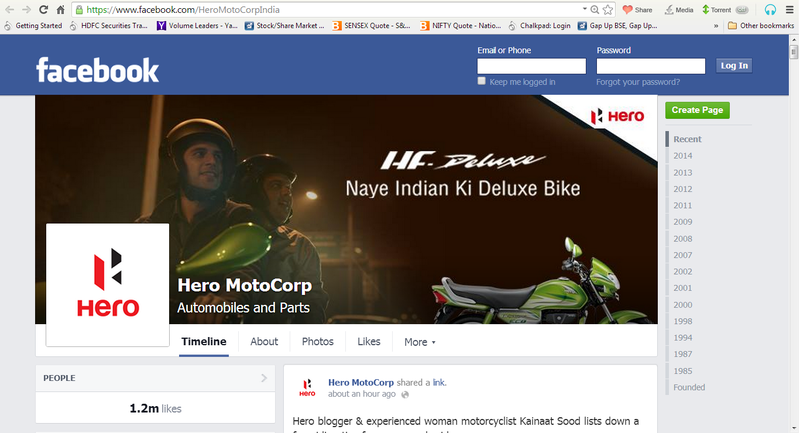 Prefer Hero Motocorp. 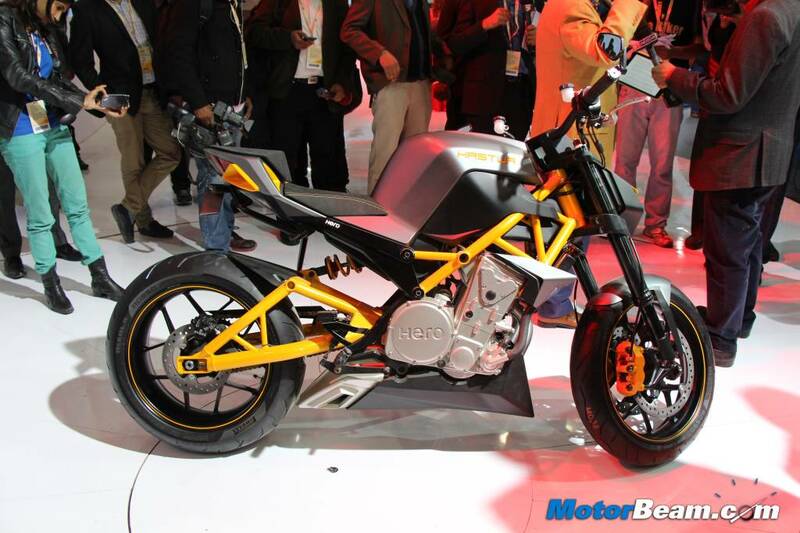 over Bajaj autos Ltd. Prefer HMCL over BJA : “Two-wheeler is the only segment in the Indian Automotive industry which is likely to report 8-10% volume growth in H1FY15 as against a flattish to declining sales for passenger cars and CVs, respectively. 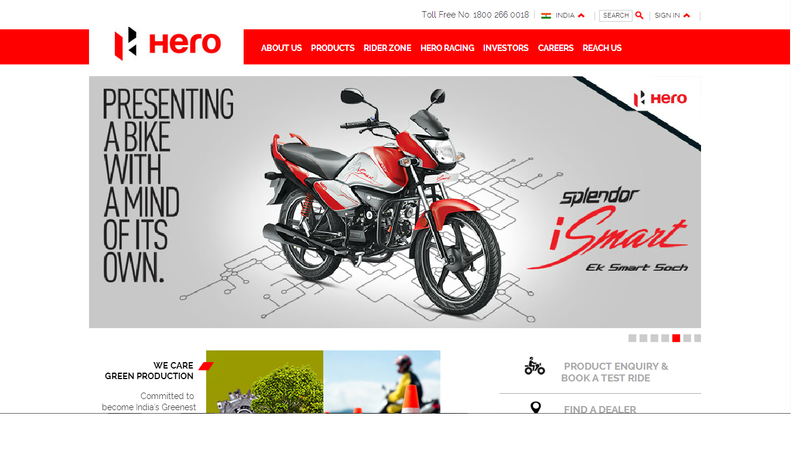 Given the strong product portfolio and the initial success of Splendor ‘iSmart’, we believe Hero Motocorp (HMCL) could surprise positively on the volume front. With scooter and export demand likely to be strong and positive feedback on new products, we reiterate our positive stance on Hero Motocorp. At the CMP, the stock trades at 15.6x FY15E EPS and 13.2x FY16E EPS, which is attractive, given 28.4% CAGR in earnings over FY14-FY16E period”, says Prabhudas Lilladher research report.